There is no need to explain how important for your business a junk free working environment is. It increases the productivity of your employees and furthermore, it will make a much better impression on your clients, thus skyrocketing the revenues of your company. At Junk Removals London LTD we have a fully trained, skilful and fully insured team of commercial junk removal specialists who are ready to take care of your offices and other work-spaces. We have been at the services of the business in London for many years now. We have worked for both big and small companies and we are more than sure that we are ready to face the challenges your projects posts in a very efficient and highly satisfactory manner. The scale and nature of your project. The time when you need the job done. Whether or not you are on a tight budget. Yours and your employees’ comfort and satisfaction. The best results possible to be achieved quickly and hassle free. Following the highest quality standards of the industry. You can make use of our services at any time of the day or night. It would be inappropriate to have us clear off your business waste during work hours, so our technicians will come at night or in the weekends to do the job. You can work undisturbed and still have a perfectly clean office environment. Hire us if you need someone to take care of disposing of your old office furniture, or to do a day to day office clearance with the help of state of the art equipment and methods that have proven to be effective in thousands of similar projects. We service a large variety of companies, delivering an impeccable quality of commercial waste clearance services. We have many clients based in Canary Wharf, which as you may very well know is the fastest growing and most important business center in present day London. When talking about the economy of the country, the importance of Canary Wharf can be compared only with that of the Royal docks during the heyday of the colonial trade. 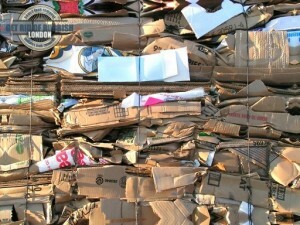 But Junk Removals London operates in every other part of London as well. If your business is based in the northern outskirts of Enfield, or any other urban or suburban district of London, you can still make use of our expertise in the field of commercial junk removal. We always work in accordance to strictly individual plans tailored specifically for the needs of the business we are currently serving, and the nature of the task. Give us the details of your project and make sure to inform us about any special preferences you might have. Every detail is important and we will not overlook a thing. In this way, you will get very satisfactory results, which even exceed your expectations, in a timely fashion and on a very reasonable price. If you want to consider your budget before you hire us, you can request a free no obligation quote from our customer service – no hidden taxes and additional charges at the end of your office clearance day. What you are told will be what you will have to pay – not a penny more or less. In addition, we work on very competitive prices you will definitely find satisfactory. Call us today on the phones provided here for booking and a free quote. We are looking forward to being at your service.